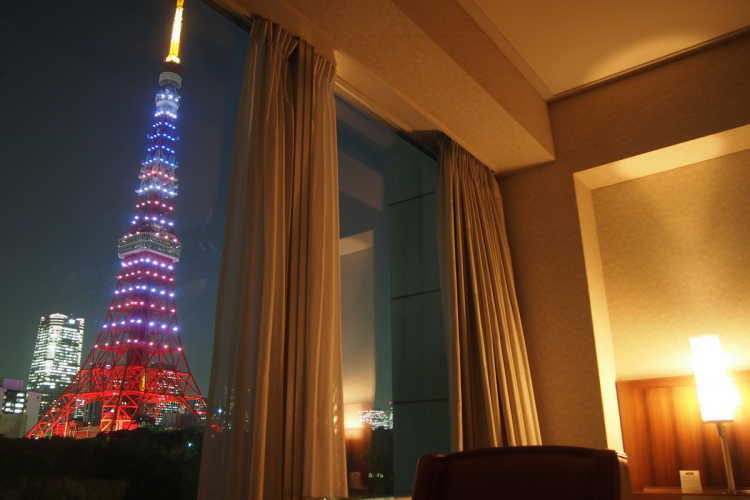 The Room boast tremendous night view of Tokyo Tower. I recommend you staying here on the day like anniversary. It's the scene of midnight. 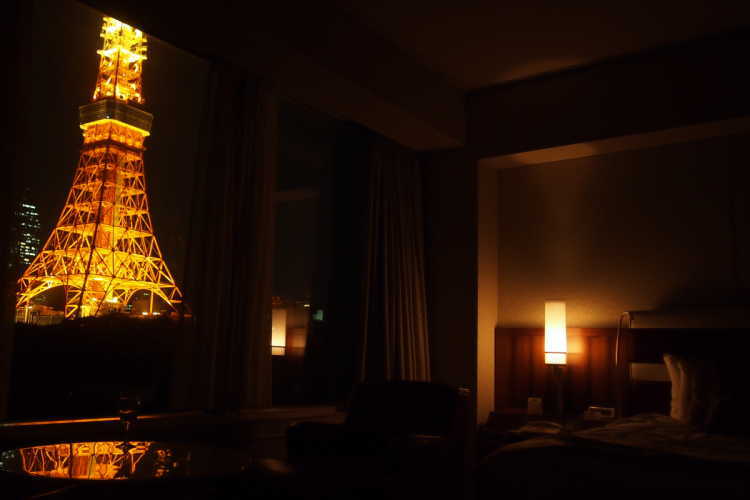 Although, its color is orthodox, the room becomes luxury mood because the hotel is very close to Tokyo Tower. 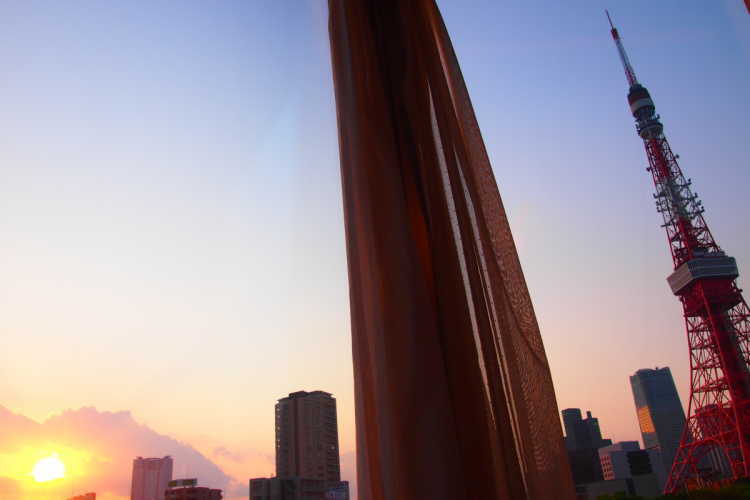 The room was lightened gold slightly, and the setting sun is beautiful seen with Tokyo Tower. Although it was an ordinary day, the front entrance was illuminated wonderfully as if some events were held. 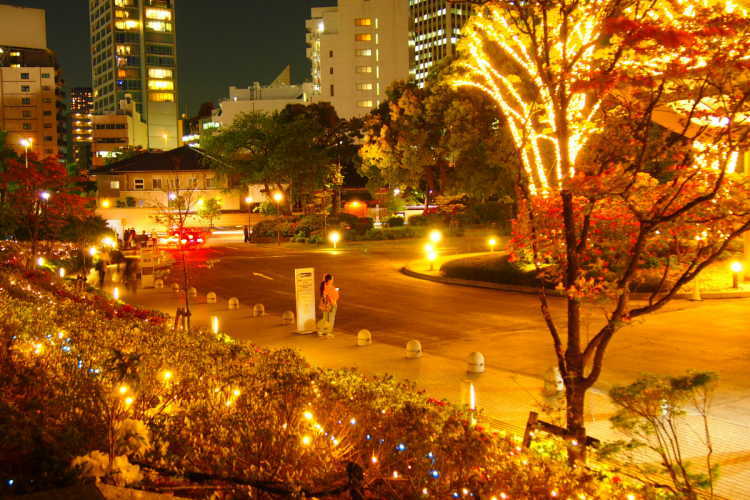 And it shines like in collaboration with Tokyo Tower's illumination.